As I hinted before, my summer has been dominated by writing books, two of which came along at once, and neither of which could be turned down. It is a long time since I wrote Gardening in your Nightie after all, so it is time I did something new. One book is relatively low key affair – a compilation of stuff from my weekly Thorny Problems Saturday Telegraph page. More than nine years worth of utterings and mutterings has been sifted through (which gave me total brain-ache) and some of the ‘best’ and most generally helpful bits sorted into a month-by-month, blow-by-blow problem-busting bedside book. Names of Telegraph readers have been changed, but their problems are all there. It is early days yet, but I am hopful that it will be well received by, amongst others, all those who have loyally stuck with me and Thorny Problems all this time and who have, in effect, provided the essential material for the book. The second is, in its own way, an equally Big Beast. Grow your own Flowers, for the RHS, is a sequel to Carol Klein’s Grow your own Veg (which of course was the book of the successful BBC television series, and was therefore an Extra Big Beast, in terms of sales). We hope the book will be a attractive, no-nonsense and user-friendly introduction (with as little jargon as possible) into the pleasures and pitfalls of creating a glorious garden full of flowers. Writing this book has had a surprising affect on my garden, however, since I have been obliged – nay, almost forced – to do (for once) all the important jobs I have been writing about. So I have been Chelsea chopping, mulching, deadheading, slug-protecting and generally fiddling around as never before – every time, in fact, that I break out from behind my desk, overcome by cabin-fever and writer’s block. As a result my flower borders, at the beginning of this parched August, actally look more colourful and glorious than they have ever done before. 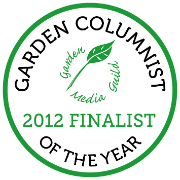 Having written most of the main text of Grow your own Flowers, I only relatively recently felt able to write it’s introduction (fellow writers will understand the great significance of this, I am sure). The relief of being able to see at last where the book was going and for whom it was intended was, I presume, a bit like turning the foetus around and realising you were going to avoid a breach birth (or worse). However, the labour is still on-going. Slogging through all the plant descriptions that constitute quite a large section of the book, I frequently feel like screaming for an epidural. Where this analogy came from goodness only knows (presumably the non-stop writing is making me light-headed). All that sort of thing happened to me in the dim and distant past and is thankfully only hazily remembered. But to carry it forward a step further… despite all the anxiety and pain of pregnancy and childbirth, my son turned out to be a bit of gem (Sorry Henry). So fingers crossed. This entry was posted on Tuesday, August 3rd, 2010 at 10:56 pm and is filed under Grow Your Own Flowers, Musings, Thorny Problems book. You can follow any responses to this entry through the RSS 2.0 feed. You can leave a response, or trackback from your own site. 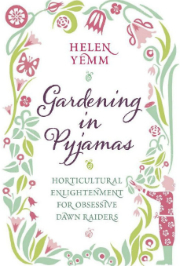 Cannot wait for the books Helen,’gardening in you nightie’is faling to pieces having been re read so often. When I’ve finished hyerventilating in response to you actually blogging, AND writing not one but two books, I’ll be in a fit state to compose a non-nutjob comment. They both sound like worthy additions to the gardener’s bookshelf. Let us know when they become available.